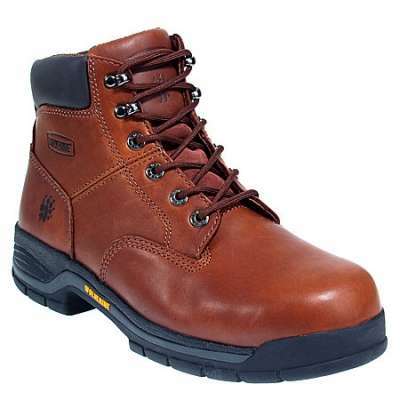 For excellent performance, choose this pair of Ariat 10010133 Men’s Brown Waterproof Workhog Steel Toe EH Boots. 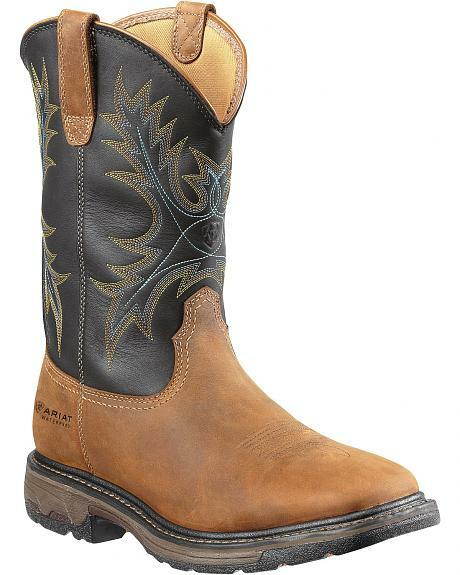 Ariat doesn’t just make boots that look good, they put a lot of focus on comfort, too. 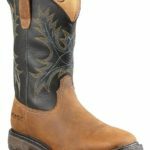 These black and brown boots are lined with mesh to wick moisture away from your feet, keeping them cool, dry, and healthy. Under this lining, there are shock-absorbing EVA midsoles that cushion your every step. 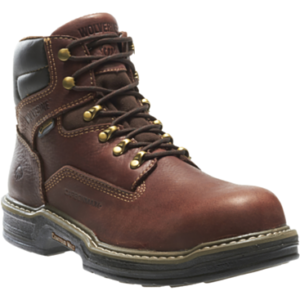 And of course, these safety toe boots look great! The full-grain leather uppers are brown on the feet and black on the shafts. Although leather is naturally water-, oil-, and abrasion-resistant, Ariat treated these men’s boots so they’re fully waterproof. They have waterproof membranes in them as well, so your feet will stay dry all day long. The extra wide stability shanks and lightweight EVA cushioned midsoles reduce foot fatigue. 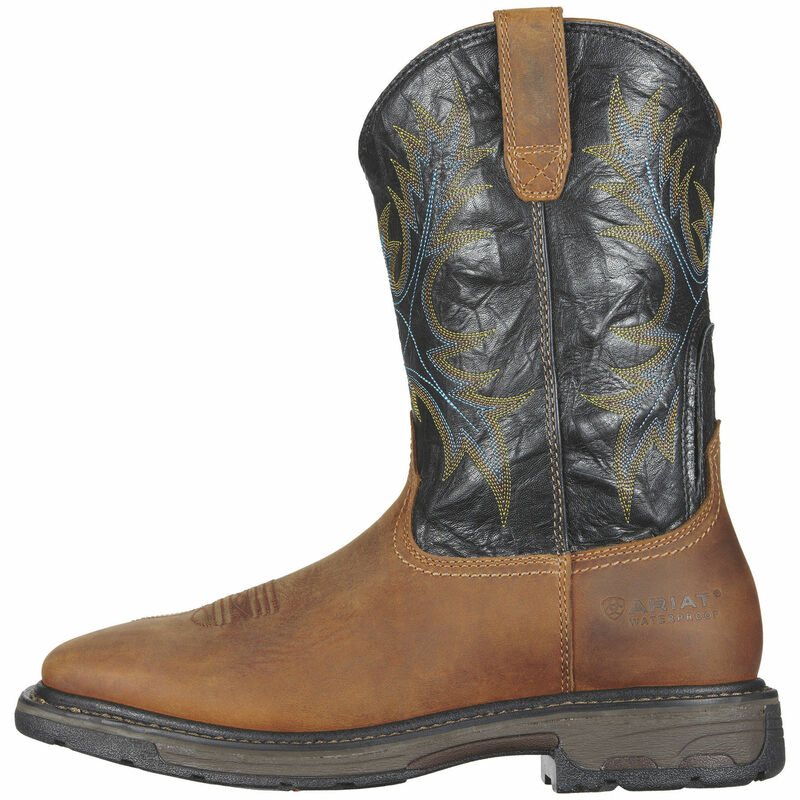 You can get these square toe boots on easily with their U-Turn Entry System that’ll give you a true fit. The Duratread outsoles are rugged and made to last. 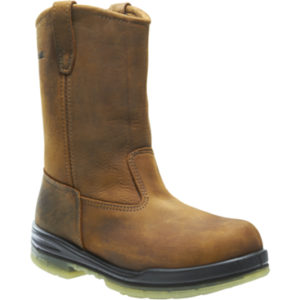 They’re oil- and slip-resistant to offer you improved safety on the job. 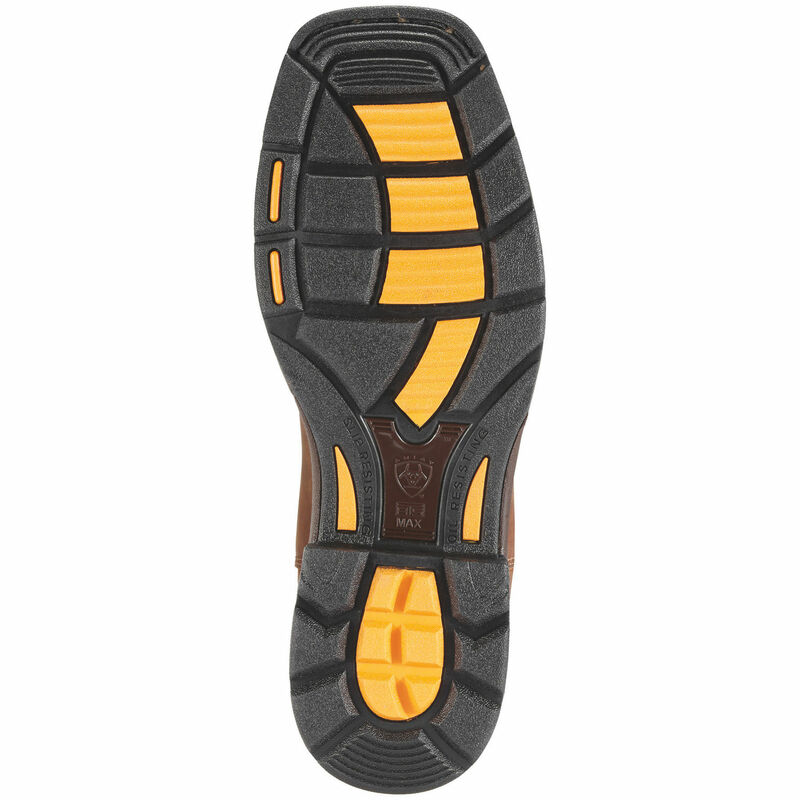 The rugged outsoles also have self-cleaning and non-tracking treads, so you won’t bring whatever you step through in the barn into the house. The heel backs have a 90-degree angle that provides excellent stability on ladders. 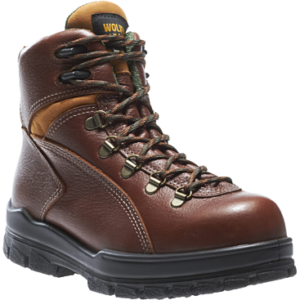 When it’s time to resole these waterproof boots, it’s easy to do so since they have Goodyear Welts. That means that the stitching can be removed, the soles taken off, and new ones put on, if needed. A Goodyear Welt is an economical choice because when the soles wear out, the shoes still last.